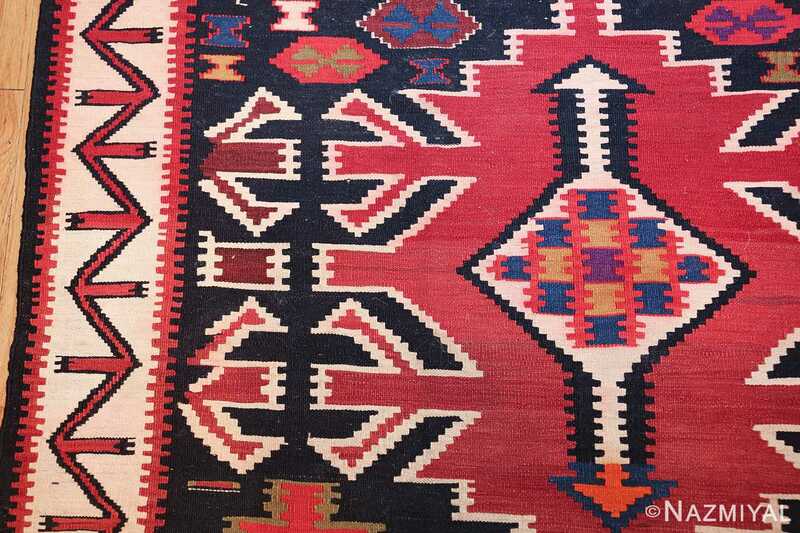 Antique Tribal Caucasian Kuba Kilim Rug, Country of Origin: Caucusus, Circa Date: Early 20th Century True to the distinct tribal style of Caucasian Kuba kilims, this rug combines extravagant colors with strong and rigid lines and figures. 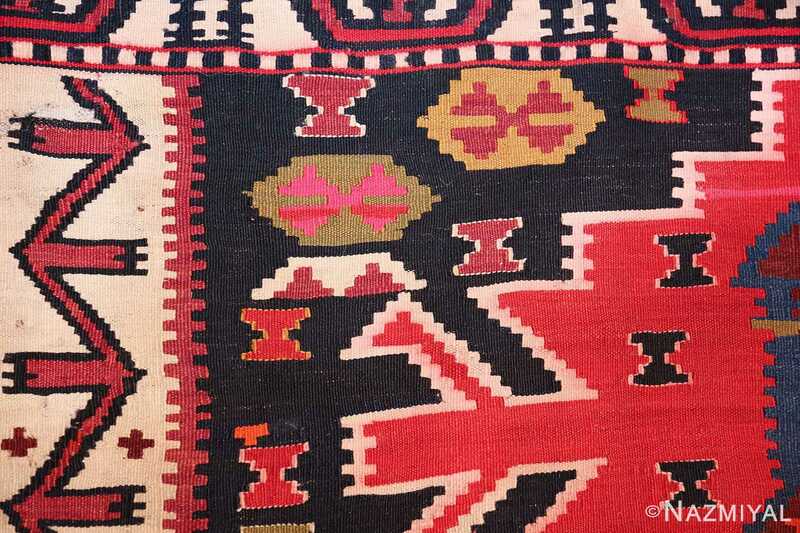 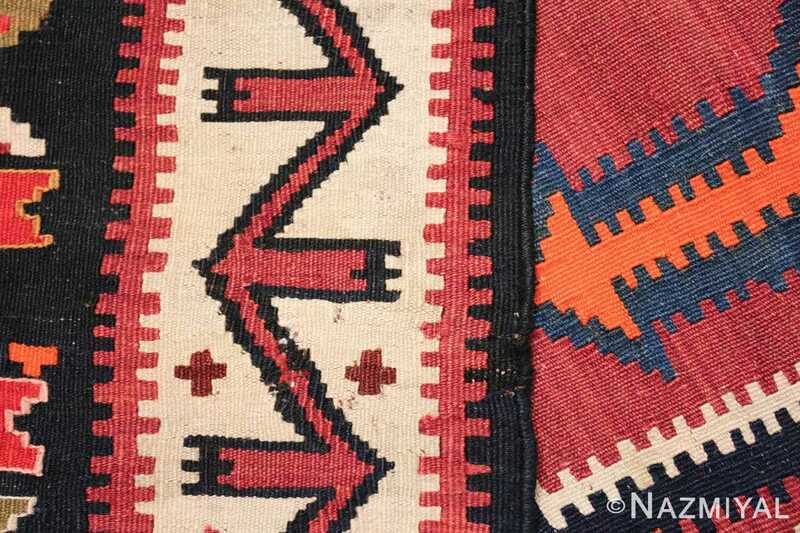 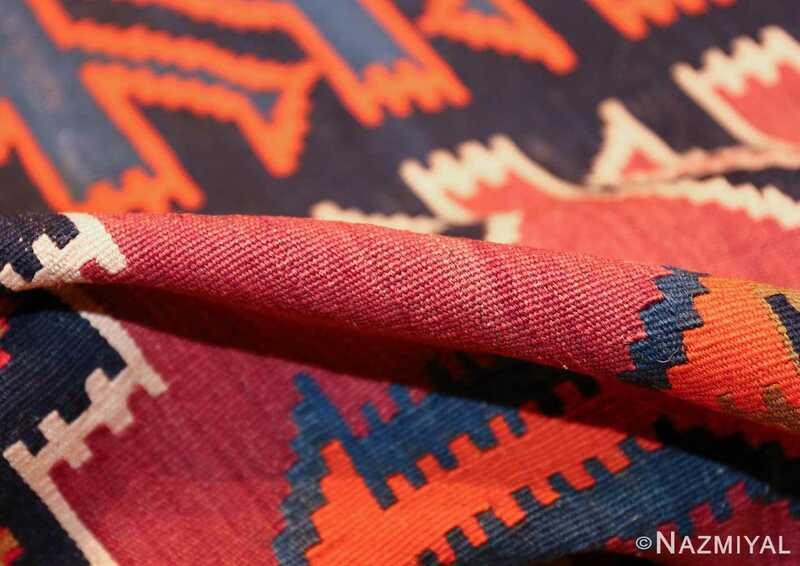 Two distinct white borders surround the core of the antique Caucasian Kuba rug, bearing angular red elements that are repeated throughout in continuous lines of form and motion. 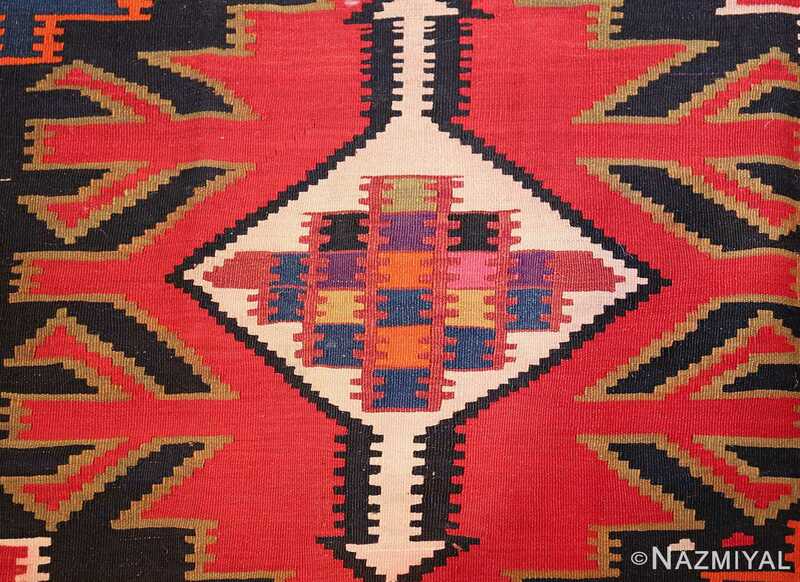 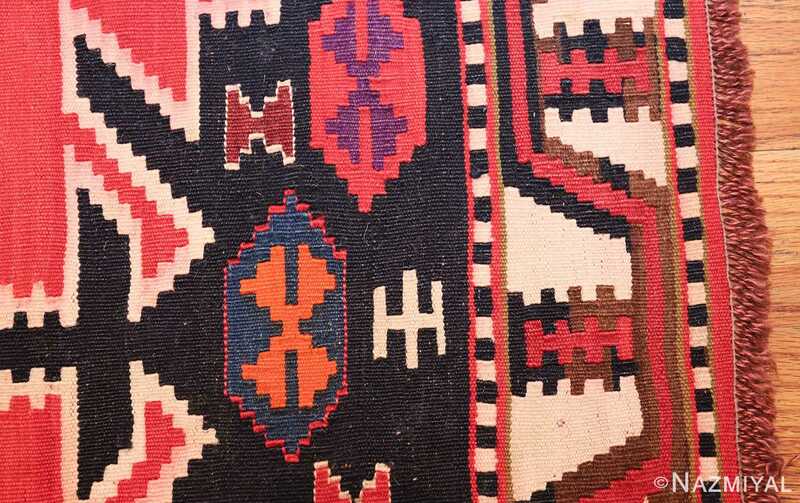 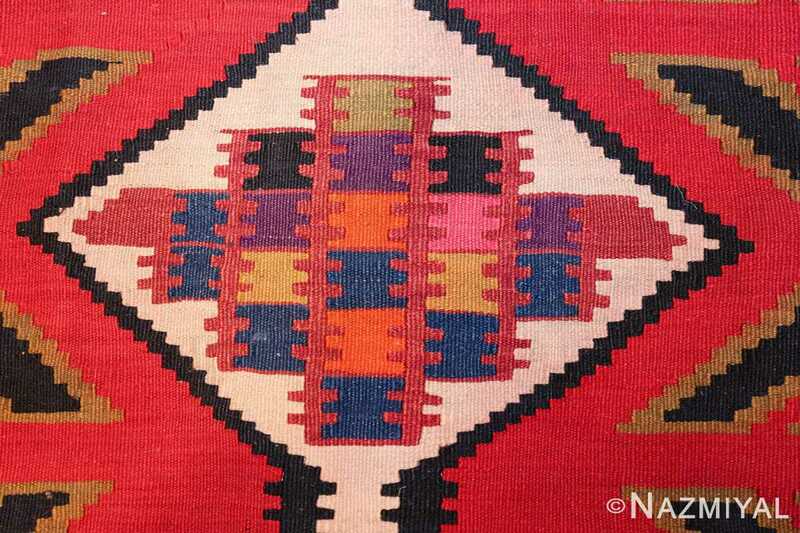 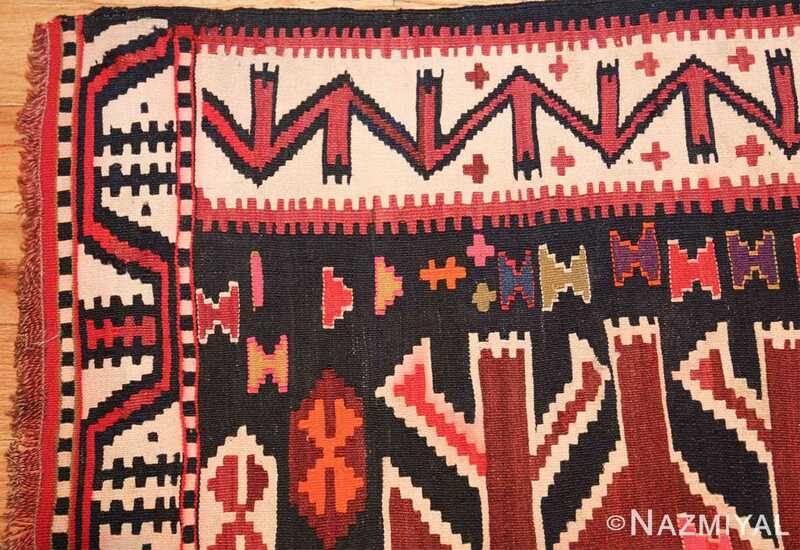 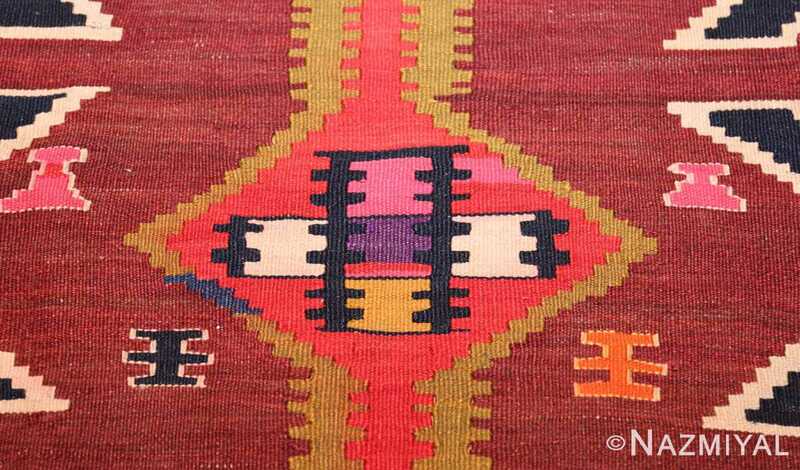 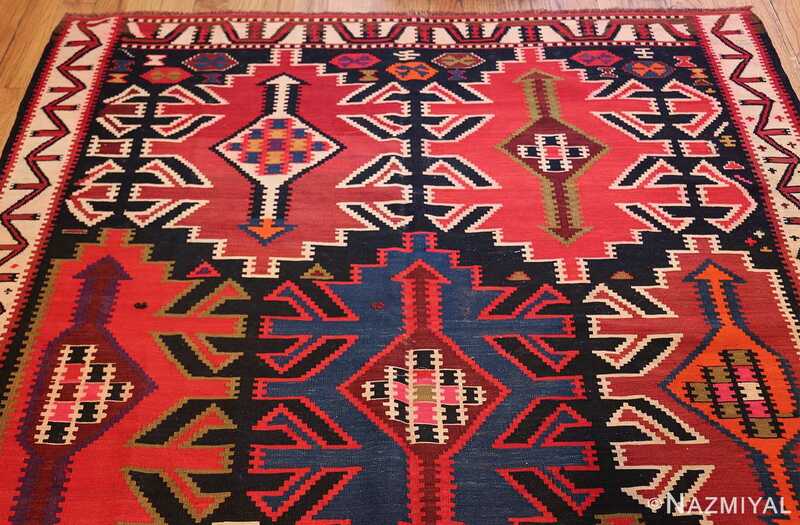 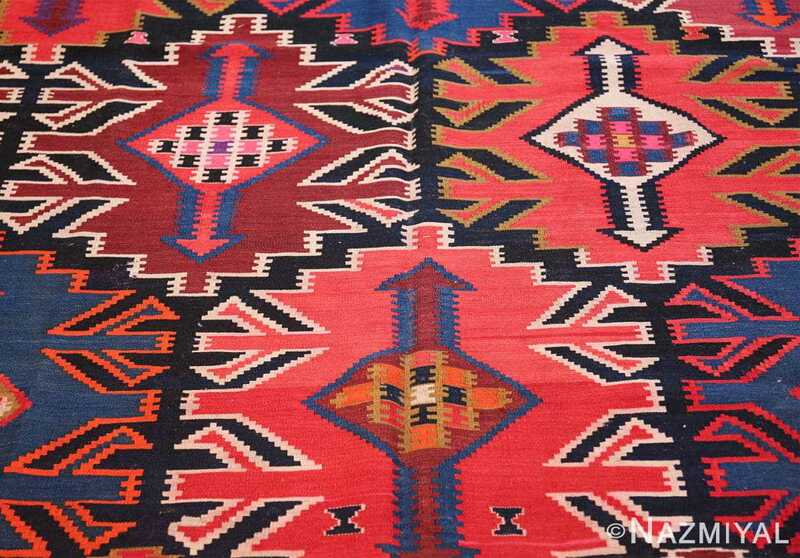 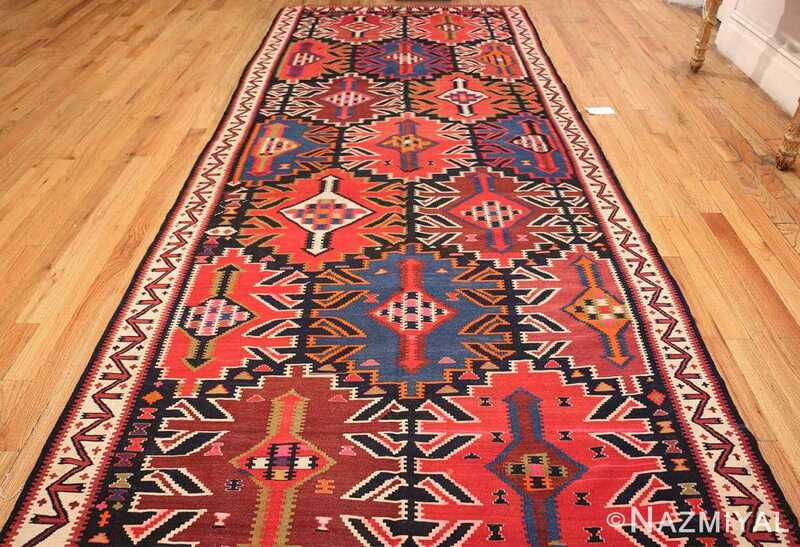 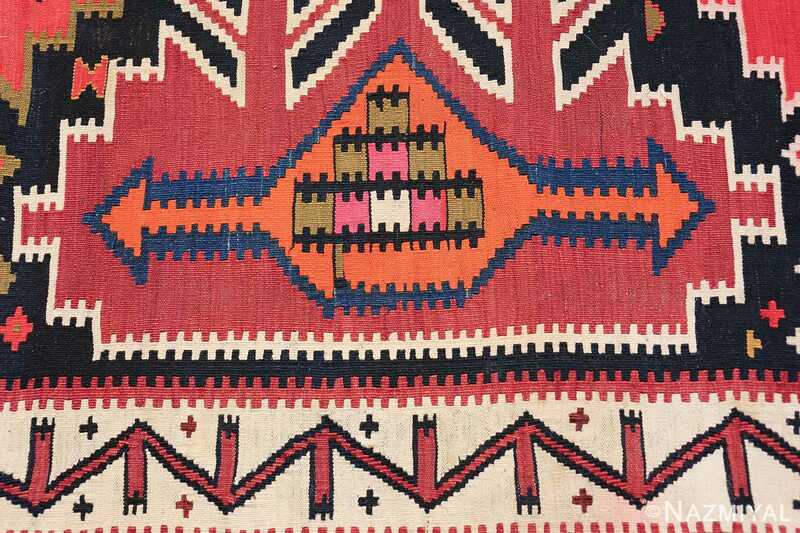 A rich black background defines the center of the tribal antique Kuba Caucasian kilim rug, and within its inky depths are several bright colors that all stand against each other in angular forms and blooms. 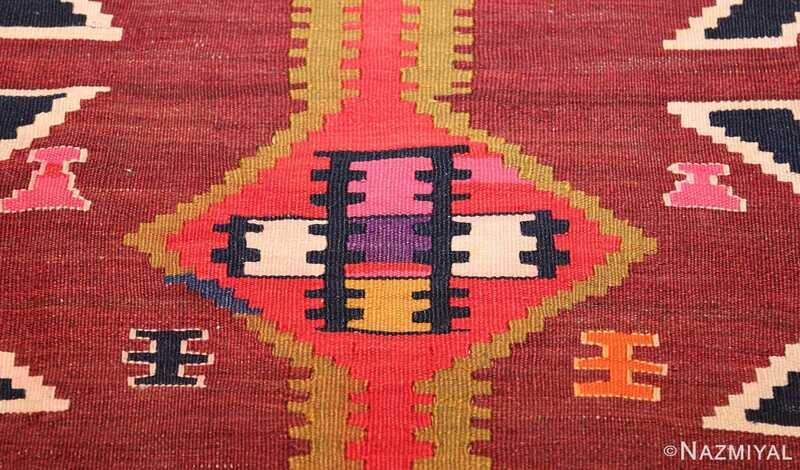 These bright fronds each house their own key-like figures, with the colors chosen skillfully to maximize the degree of contrast present throughout the entire antique rug.